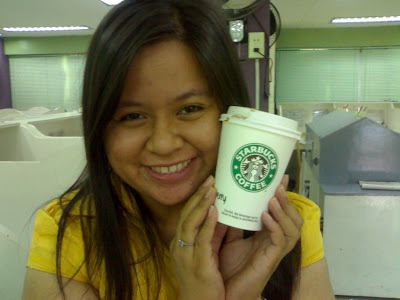 Brew of The Day: Coffeeholic Alert: SM Advantage Card STARBUCKS Treat! Coffeeholic Alert: SM Advantage Card STARBUCKS Treat! If you are a "Coffeeholic" Reader, then you know that my blog "Brew of The Day" was named as such because of my love for COFFEE. LOL. That's why I call all you dear readers of mine "coffeeholics" whether you drink coffee or not! I rave about coffee almost as much as I gush over fashion, beauty, events, food, and my love for teaching. How did I get addicted to coffee? Well, it all started during those horrible "hell review week" periods during college. I would drink lots and lots of coffee (and a whole lot of Vitamin C!) to stay wide awake in class after only an hour or two of sleep. All those research papers, essays, case studies, and the like submissions are always deadly during the last few weeks of the semester. I'm sure by now most of you college students are breathing a whole lot easier, catching up on sleep, and enjoying their sembreak by now! Yay for you! Well anyway, ever since then, I got hooked on coffee. One of the coffee labels that I was quite addicted to before was STARBUCKS! Cafe Mocha - Always keeps me awake! One of my students treated me out and gave it to me as a birthday gift. I'm one happy girl mind you! The OLD Starbucks logo design. Honestly, I liked that better. 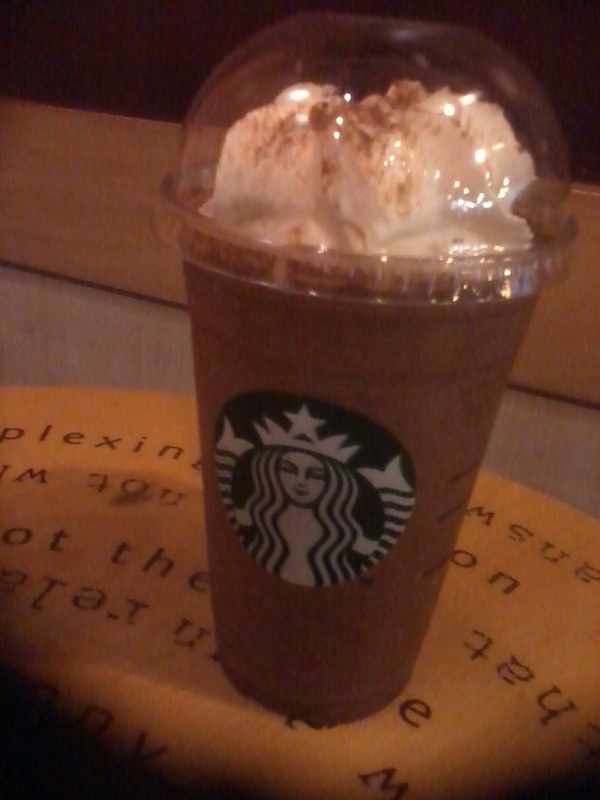 I love the lil piece of dark chocolate that I can taste and bite into while drinking the Frappe. Just reminiscing about this is making my mouth water! oh and I'm not a big fan of the new logo..
As in I wouldn't even consider drinking at other coffee shops and would even save up enough money to be able to GO to Starbucks and drink their version of caffeinated heaven! I would even collect Starbucks mugs, tumblers, and even planners during Christmas. Yes, I was that dedicated. 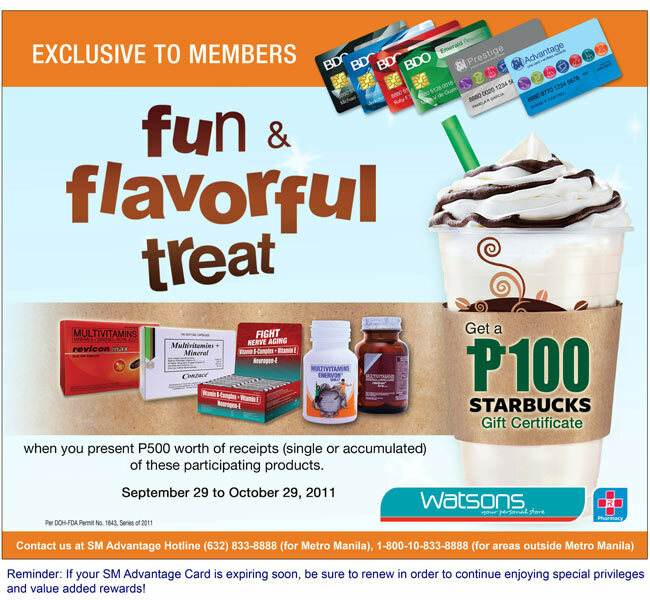 Now I have AWESOME news for you dear SM ADVANTAGE CARD members and Coffeeholics! You have an exclusive, fun, and flavorful treat! 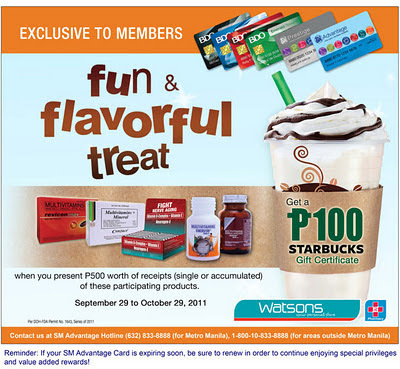 You can get a Php 100 STARBUCKS GIFT CERTIFICATE when you present Php 500 worth of receipts (single or accumulated) of the participating products from WATSONS like Multivitamins REVICON Max or ENERVON. Better yet, just drop by any Watson Pharmacy and ask away! 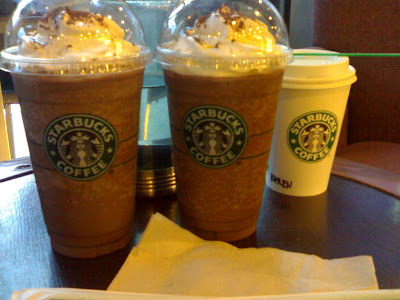 And you may get that Php 100 GC from Starbucks! Isn't that awesome? Promo runs from September 29 to October 29, 2011. So coffeeholics, dig in your purses and bags and get those Watsons receipts and claim your Starbucks GC asap!